Romania’s consolidated budget ran a deficit of 0.59 percent of gross domestic product at the end of February, after a surplus of 0.2% in January and 0.05% in the first two months of 2017, the Ministry of Finance announced yesterday. Revenues are up by 21.3% year-on-year driven mainly by social insurance contributions which increased by 28.3%YoY. It's worth noting the 7.8% YoY increase in VAT revenues making February the fifth consecutive month posting a rise. For February, revenues are up by 12.5% in January - February versus the same period in 2017. Budget expenditures spiked by 38.5% YoY, mainly influenced by the payment of a new tranche for the defence system which led to a whopping increase in capital expenditures of 441%YoY. Nevertheless, even if we assume, capex spending in line with previous years, the general budget would still have been in c.-0.3% deficit, as the current expenditures posted a 30.9%YoY increase on the back of an 18.8%YoY higher wage envelope and 21.3%YoY increase in goods and services spending. Other current expenditure components also posted significant increases, like a 12.6%YoY higher social assistance spending on the back of higher pensions or a 136.8%YoY subventions increase. 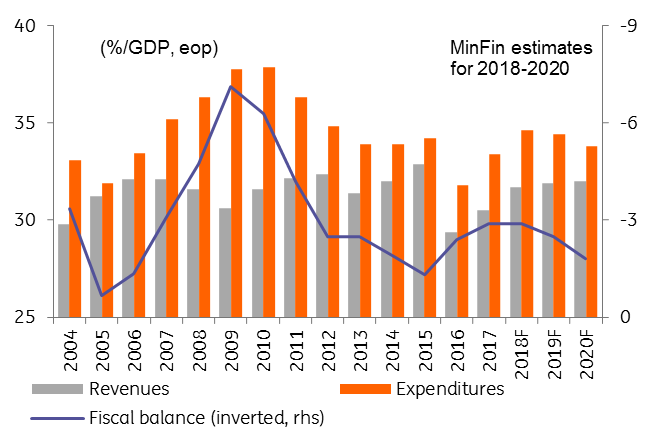 We still feel that this year’s fiscal balance can be kept in check by simply not fulfilling the budget plan for certain segments (investments primarily), but the outlook becomes trickier since the share of permanent spending in total spending is higher in 2018, giving the government less room for manoeuvre. This will likely call for a more proactive approach to stay within the -3.0% of GDP level - an objective on which the authorities seem committed. 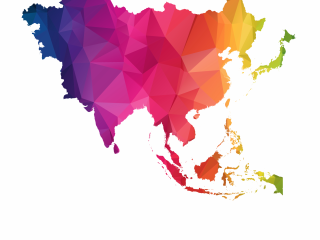 Moreover, at the start of the year, economic activity as indicated by high-frequency data and surveys points to a slowdown which might further complicate public finances. Without a convincing improvement on revenue collection, we could get some compensatory measures sooner rather than later, perhaps closer to the mid-year budget review.